If you are a golfer then Montego Bay Golf courses and the packages they offer will make you love your favorite game more than ever!!! Montego Bay Jamaica is popular for being home to twelve championship golf courses, more than any other Caribbean island. Also the two most famous Jamaican golf courses are The Tryall Golf Course and the White Witch Golf Course. There are others, some privately owned, which are just as excellent to play your game of golf and to have an enjoyable time. The spectacular weather and unmatchable scenery of Montego Bay Jamaica golf courses makes playing golf a memorable experience that you will cherish for a lifetime. Montego Bay Jamaica offers the best professional standard challenging courses which experienced golfers love, along with the ease and comfort for those new at this sport. Here are some handpicked places from the relaxing, ambient and peaceful home of golf, Montego Bay. These courses are at times twisting and winding through an estate with magnificent villas and ocean views with holes leading down to the coastline. The golf courses in Montego Bay Jamaica can both be challenging and beautiful but there are full of rich heritage. Situated at the Rose Hall Resort, Cinnamon Hill Golf Course offers plenty of enticing amenities and a professional staff that is always ready to serve. A clubhouse with shops packed with everything you need to up your game. The clubhouse opens at 7 AM in the mornings and closes at 4 PM. Cinnamon Hill is a challenging seaside and mountainous golf course. The back nine are the most scenic and interesting with steep slopes and deep ravines and at the 14th hole you pass a beautiful 40-ft waterfall once featured in a James Bond movie. This 18-hole championship golf course, designed by Robert Trent Jones, Sr., is opened daily from 7 AM to 6 PM. With manicured and diversely shaped greens, Half Moon Golf Course at Rose Hall also provides world-class pro-shop fully stock in an excellent atmosphere for professional players. 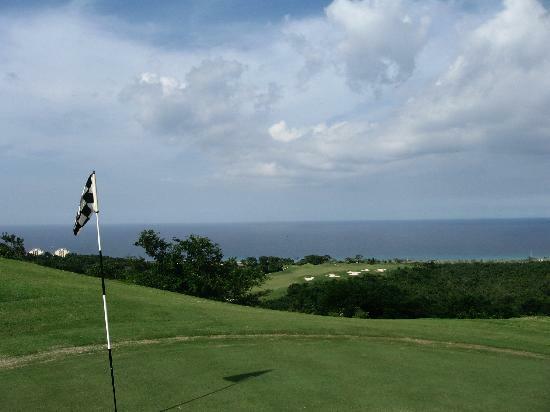 One of the best privately owned golf courses in Ironshore, Montego Bay, Jamaica, a newly renovated course offers many interesting activities for golf lovers. It includes four incredible golf clubs, excellent for playing in the morning and late afternoons. 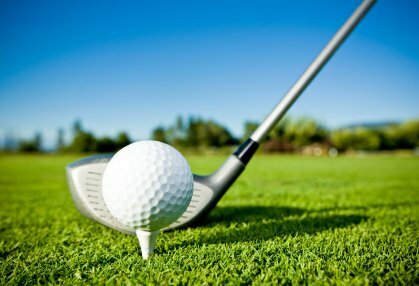 Natural attractions like lush green plantation, shrubs, old trees and native species of wildlife makes playing golf all the more enthralling here. The Tryall is located a little away from Montego Bay, set along the North Coast of Jamaica, and is often the site of major tournaments. This golf course in Montego Bay gives you, its golfers, a warm welcome and offers excellent service and drinks. Surrounded by coconut and other trees, this 18-hole golf course offers outstanding view of the Caribbean waters to its golfers. The White Witch Golf Course is considered as one of the finest golf courses in the world and is part of the Ritz-Carlton Rose Hall. Located just 10 minutes away from the vast Rose Hall plantation, is an 18-hole championship standard golf course which spans 6,859 yards of a mountainous terrains. This Montego Bay golf course offers amazing panoramic views of the beautiful Caribbean Sea to golfers from most of the holes. Particularly designed for golfers, their families and kids to enjoy, availing them of their favorite activity under one roof. The newly furbished place has three golf courses, a great number of water activities and an outstanding spa facility, a tennis court and a water park.